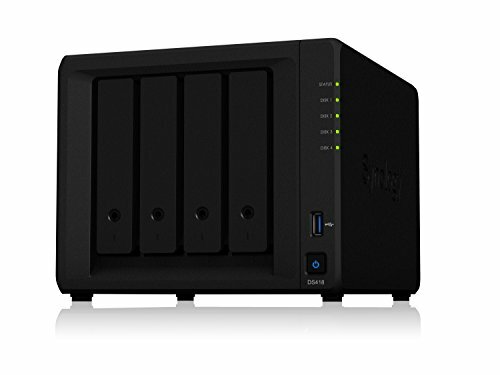 Synology Disk Station DS418 is a high-performance and versatile 4-bay NAS, specifically designed for offices and home users to effectively manage, protect, and share data. Its new 64-bit quad-core processor supports volume management of large-capacity storage and 10-bit 4K H.265 video transcoding to enrich multimedia entertainment. Synology DS418 is backed by Synology's 2-year limited warranty.